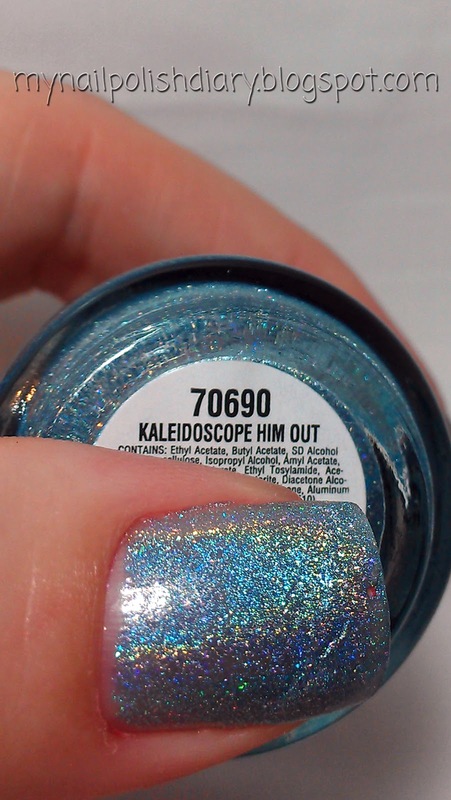 China Glaze Kaleidoscope Him Out from the Kaleidoscope Collection released in 2009 is a blue scattered holographic. It's a blue that I actually think looks good on me. There aren't many that go well with my skin tone. I'm so glad this one does. 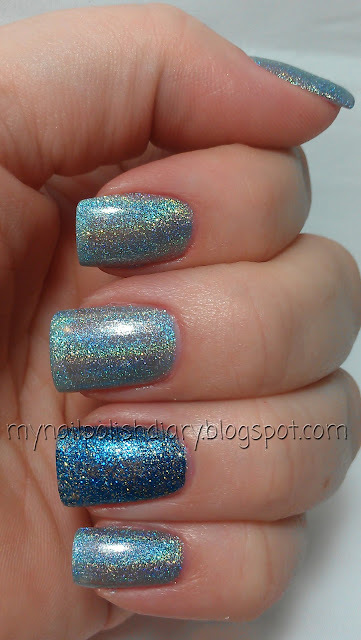 I love holographic polishes. I have so many, and just keep buying more. I don't think you can ever have too many. 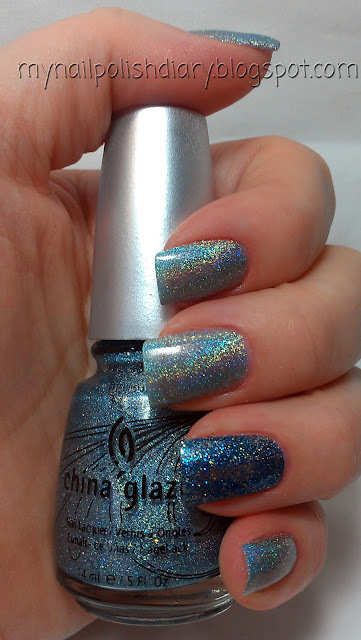 Absolutely Alice is from the Alice In Wonderland Collection released back in Spring 2010. I used her for an accent nail. Absolutely Alice is a dense blue glitter with a little but of gold mixed in. It is so dang sparkly. It goes perfect with KHO.